It's a project inspired by the novel "The Grapes of Wrath" by John Steinbeck and by the photographies of Dorothea Lange. 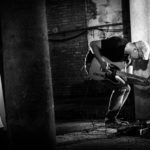 Simone Massaron performs in solo the music from his record "Furore" and improvises during the projection of a sequence of photographies realized by Dorothea Lange for the Farm Security Administration during the migration of the Dust Bowl period. 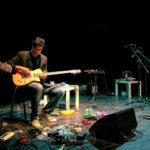 Simone Massaron's guitar solo is a bare and spare project, whatever version (electric or acoustic) you may listen to. Every concert ranges from free improvisations, standards and noise to old songs. The love for the guitar, for its expressivity and for melody in its easiest form create the musical fabric the concert unfolds on. 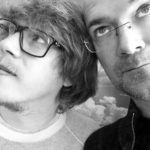 Begun as an idea of Simone Massaron, this duo proposes free music and improvisation based on Interplay. The Standards play a marginal role, except for the declared love for melody. Themes are treated more as memories (or better as remainder) than structures, like it may happen that you sing under your breath or whistle a melody. 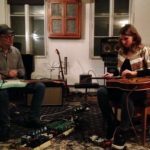 The love for free music and for tradition joins the intentions of the duo. Kreis is a guitar duo that is formed by a classical guitarist (Francesca Naibo) and a jazz guitarist (Simone Massaron). They have the common language of improvisation. Kreis alternates solo moments and duo moments, defined compositions and total freedom, traditional colors, preparations and noises. Its offer is a concert rich of singular and unexpected sounds and of different points of listening. 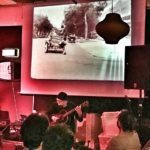 Interaction between the sound of the guitar and movies, improvisation and avant-garde cinema. It ranges from surrealism masterpieces to the comic cinema of the '20s until amateur documentaries and some rare examples of the beginning of cinema. It's a different way of conceiving of the guitar, which transcends often its function of melodic instrument. 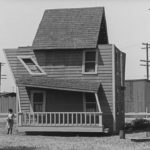 Sonorizzazione live dell'integrale dei cortometraggi di Buster Keaton. Il suono legato alle immagini segue le vicende dei personaggi creando divertenti strati sonori che enfatizzano a volte le movenze degli attori e altre volte la trama del film, lasciando un ampio spazio all’improvvisazione. Il metodo stesso di scrittura comprende una grandissima libertà d’improvvisazione: proprio per questo ogni esecuzione live dei cortometraggi è sempre diversa dalla precedente. La volontà di Massaron è quella di utilizzare i cortometraggi come una partitura grafica che imponga, senza vincolare i musicisti, un ritmo di interpretazione e improvvisazione. 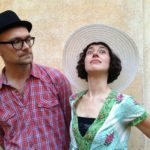 Marta Raviglia and Simone Massaron play songs by choice and they whirl round and round. They court melodies, defy harmonies, improvise. And they return, finally, to the songs. Marta and Simone overturn songs and let themselves be upset by them. They interpret and reinterpret in order to survive, not to celebrate something. They beware mere decoration and tendencies to baroque because they crave emptiness, space, silence. They long for the precision of gesture, the harmony of breath, for the places where the boundaries of feeling blur and the sound dictates the strategies of feelings.